We like to stay busy here at Balanced Body! Here’s our latest news on product offerings and activities. A big birthday for Ken! Thank you, CalRecycle, for recognizing our continuous efforts to reduce our impact on the environment! For the third year, we've received the Waste Reduction Awards Program (WRAP) award administered by the California Department of Resources Recycling and Recovery (CalRecycle). Also new are two fabulous accessories for the CoreAlign®. A cover for your CoreAlign keeps dust, hair and other unpleasantness out of the cart tracks, and is great for signaling when the unit is "off limits" for use. 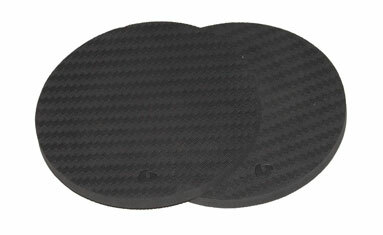 Handy CoreAlign rotator disk pads cushion bare feet when used with the rotator discs, but can also be used to cushion hands or knees during other floor exercises with the CoreAlign (CoreAlign Accessories). Shashi socks are a great way to keep your feet clean while at the studio. With a mesh top, they'll also stay well ventilated and cool! Available in a unique split toe style. Last but not least, the best part of the What's New is not exactly all that new… In March we helped CEO and Founder Ken Endelman ring in a new decade! That's right, Ken turned 30! Oops, we mean 60. The entire company assembled to surprise him and celebrate with a delicious cake adorned with his favorite candy: M&Ms. Happy birthday, Ken! Have ideas for articles for our Newsletter? Want to submit an article? Let us know! Email balancedbody@pilates.com. Pilates and… : Getting New Moms Back in Shape!